Wesley’s outpatient therapy and rehabilitation program is staffed with a skilled and compassionate team of occupational therapists, speech pathologists and physical therapists in Saratoga Springs. We understand that for rehabilitation to be truly effective, it must address the needs of the whole person, and with years of expertise in a variety of disciplines, our therapists are able to work together to design a comprehensive treatment program tailored for you. We are truly passionate about what we do, and are dedicated to helping you on your path to recovery, independence and relief from pain. Jennifer is a former Division I collegiate athlete and coach. She has over 13 years of experience working with patients from all stages of life. Her experience working with athletes as well as older adults has allowed her to develop a comprehensive list of treatment skills. She transitioned to her role as Director of Outpatient Therapy in 2015, helping to expand the department with programs focused on aquatics, pediatrics, and spine health. Jennifer is certified in Functional Movement Techniques (FMT), as well as LSVT BIG (a movement program for adults with neurological disorders). 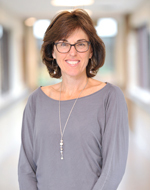 Christie is a NYS licensed Speech-Language Pathologist with over 34 years of experience diagnosing and treating deficits related to acquired brain injuries in adults and young adults. She has practiced in a variety of settings including, ICU, acute care, acute rehabilitation, home care, outpatient therapy and long term care. Christie is certified in the use of the LSVT LOUD program for Parkinson’s Disease and Gaurdian NMES (Neuromuscular Electrical Stimulation) for dysphagia (swallowing disorders) treatment. 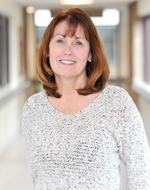 Cheryl has been practicing speech language therapy for more than 25 years. She has worked in hospitals, rehabilitation centers, nursing homes, home care and outpatient centers. Cheryl has experience working with adults who have communication and swallowing disorders. She is also certified in the LSVT LOUD program. Cheryl has been working at Wesley for the past 7 years with her primary focus on treating children with language and articulation delays. She works on an interdisciplinary team to provide pediatric evaluations for the school district along with speech therapy for children. 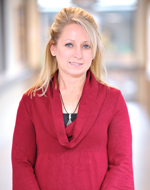 Melissa graduated from Quinnipiac College and has worked as a licensed physical therapist for over 20 years. Her experience in home care, acute care, long term care and short term rehabilitation serves her well when working with an active adult population in the outpatient setting at Wesley. Melissa is also LSVT BIG certified for people with Parkinson’s and other neurological conditions. 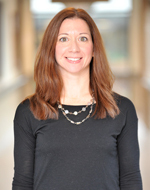 Valerie graduated from SUNY Cortland with a bachelors in Health Science and then proceeded to Broome College, in Binghamtom, NY for a degree of Physical Therapist Assistant. She has years of experience treating orthopedic patients through their early post-surgical rehabilitation in an aquatics setting. She enjoys working in the outpatient setting, particularly in aquatic therapy. 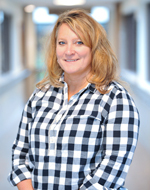 A graduate of Springfield college, Amy has more than 20 years of experience working with a variety of patients, including those with brain injuries, stroke, hand injuries and developmental delays. Amy works with local school districts to coordinate preschool evaluations here at Wesley with our pediatric team. Together they evaluate and treat preschoolers who have difficulty with school readiness skills. 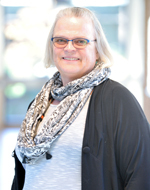 Formerly an early childhood educator in university and college settings, Dr. Thompson earned a degree in school psychology from the Pennsylvania State University and became a licensed psychologist in Pennsylvania and New York. She has past experience in special education in public school settings and engaged in private counseling of young children and families. 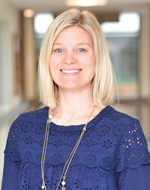 She now specializes in developmental evaluations of preschool children in a multidisciplinary approach with other members of the Wesley outpatient team. Betsy brings 7 years of aquatics instruction experience to our independent aquatics program. She is a certified WaterARTS Fitness International instructor with special certifications in aquatic aerobics, aqua jogging and common movement disorders. 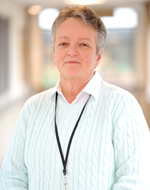 Janet worked for 19 years in school-based settings, providing PT for children of all abilities, ages 3-21. 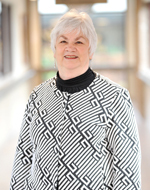 She began working at Wesley in 2004, helping to grow our pediatric program to what it is today. Janet currently provides PT and aquatic PT to children and adults with a range of diagnoses, with a special interest in treating patients with degenerative muscle diseases. She is also certified in the LSVT BIG program.